Well, first of all, I can’t take credit for this one. Did not make it myself. But I sure helped eating! 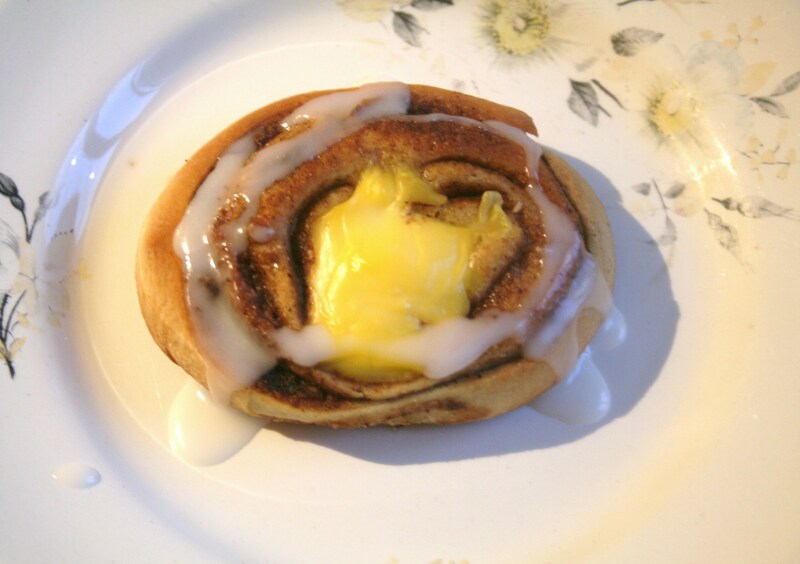 My boyfriend suddenly decided to make cinnamon rolls late last night, and I was not to stop him. And I figured, I don’t really have time to bake nowadays, reading for my exams pretty much takes all my time. Little baking means few posts, means my poor blog is suffering, so I might as well let him take over the show for a while. Feels like something’s missing? Like the custard? Well – I buy it… So don’t really have a recipe for that, but of course you can make your own! Which is probably even better. But you will need it either way, so provide custard somehow. Make as any ordinary dough. Mix fresh yeast with melted butter and milk, or dry yeast with flour. Knead until you have an elastic yet firm dough. Set to rise for about an hour, or until it reaches double size. While it’s rising, start making the filling. You can use whatever sugar you like, but I prefer dark brown sugar. At least part brown sugar to give a richer taste. Mix sugar of your choice, butter and cinnamon together. And when the dough had reaches a nice volume, knock it down, roll it out as thins as you like. Remeber thinner dough means smaller buns with more filling, or you can get thicker rolls, but with less filling. Hmm. Hard choice. Or I guess you can have both if you strech it out the right way! Leave to rise for about 20 minutes, then put on a nice scoop of custard on each roll, and bake on 200 C for 10-15 minutes (depending on the size) Bake until lightly golden. 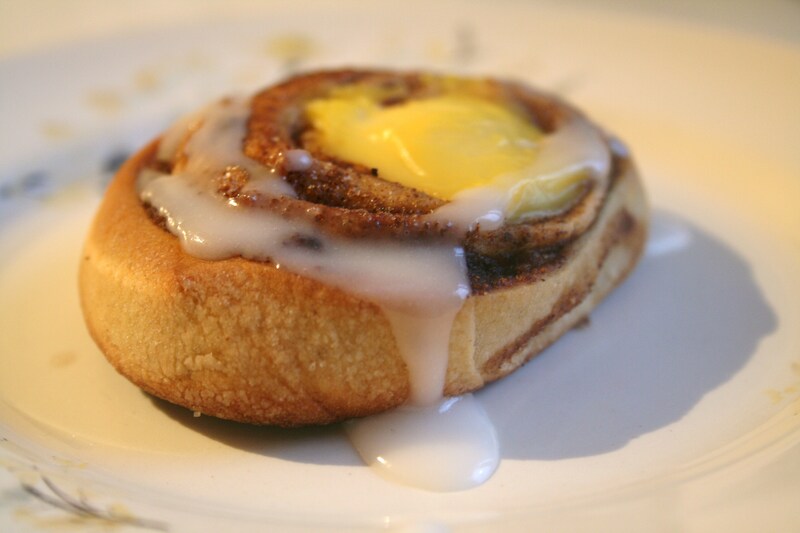 And then, while they’re still hot, drizzle with icing and enjoy… Trust me, you will. Oh my gosh I need to make these! How delicious do they look! These rolls are wonderful – thank you for your recipe. You could mention that 1dl corresponds to 100mL 🙂 Thanks again.